See the Steps Jesus Climbed to Face Pilate (mebbe) – Zero Equals Two! Hoomin behavior does fascinate me, and religious observance especially so, most extra-specially so when one finds similar practices used by different traditions, far removed in space and time. 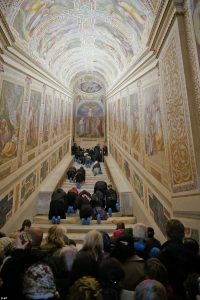 The Daily Mail recently ran a piece on the restoration and unveiling of marble steps, reputedly taken from the palace of Pontius Pilate in Jerusalem and installed in Rome (Jerusalem was razed in the 1st century ce; Christians didn’t have any juice til the mid 4th century… I’m not sure how that woulda worked). 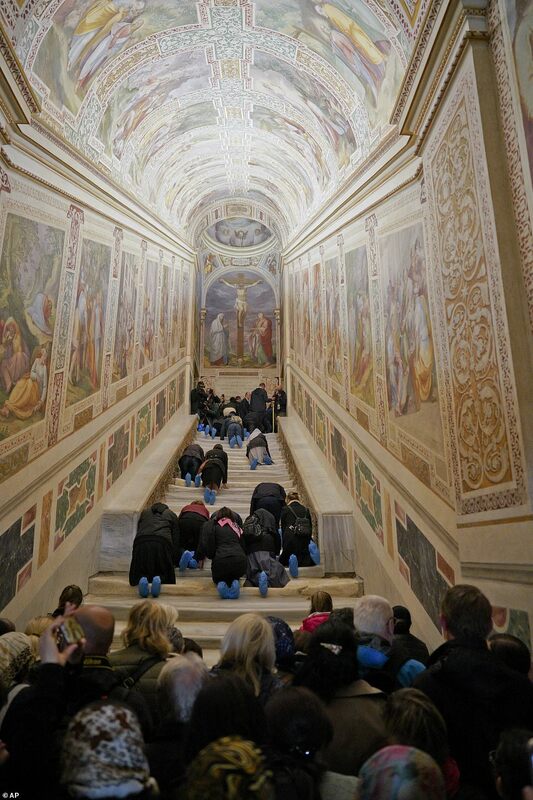 Pictures of the steps show pilgrims prostrating themselves on each step as they proceed up them. 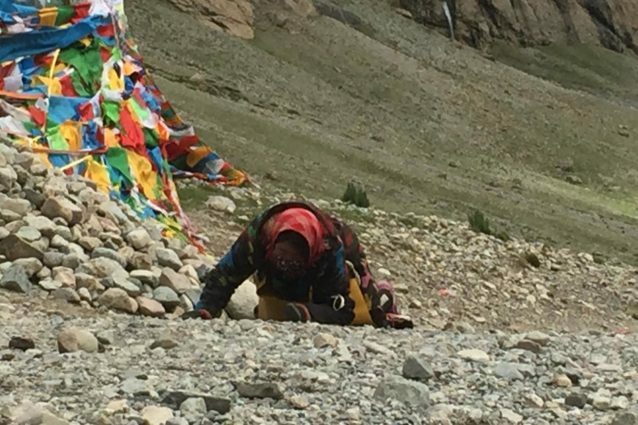 Meanwhile circumambulating Mount Kailish in Tibet and making full body prostrations at each step is a time honored Buddhist practice.